Is it really so unprecedented, though? The U.S. National Security Agency in 2011 described its “New Collection Posture” toward global electronic communication as “Know It All…Collect It All…Process It All…Exploit It All.” Hard to get much vaster than that, isn’t it? On license plate readers, these are sort of ubiquitous. In the past decade, they really have been set up in probably the majority of cities and counties in the US. And they take a photograph of the front of a car—they’re usually pole-mounted on traffic lights—as it goes by. And, essentially, if you are one of those people who happens to drive back and forth, every single day, past one of these, it can geolocate you in time and space, based on your license plate, on a fairly regular basis. The New York Times depicts Chinese police with “AI-powered smart glasses.” Meanwhile, in the US, “Police Departments Have Their Eye on Google Glass” (USA Today, 2/12/14) is a four-year-old story. securely process and return aliens’ information and addresses using the following types of specified data: FBI numbers; State Identification Numbers; real time jail booking data; credit history; insurance claims; phone number account information; wireless phone accounts; wire transfer data; driver’s license information; vehicle registration information; property information; pay day loan information; public court records; incarceration data; employment address data; Individual Taxpayer Identification Number (ITIN) data; and employer records. The China piece does have a couple of acknowledgements that these issues are not totally foreign to the United States. 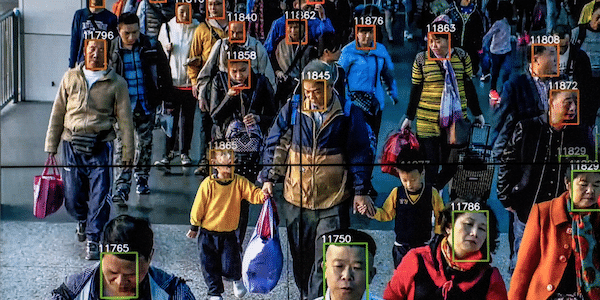 At one point it notes: “Already, China has an estimated 200 million surveillance cameras—four times as many as the United States.” Not noted: China has a bit more than four times the population of the United States. 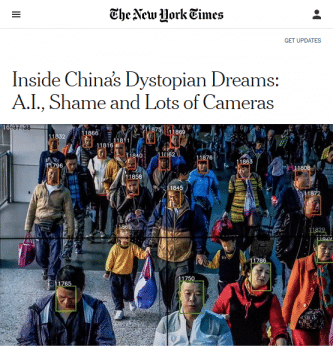 At another point, it mentions that the U.S. director of national intelligence held an “open contest for facial recognition algorithms” in 2017—which a Chinese company won. 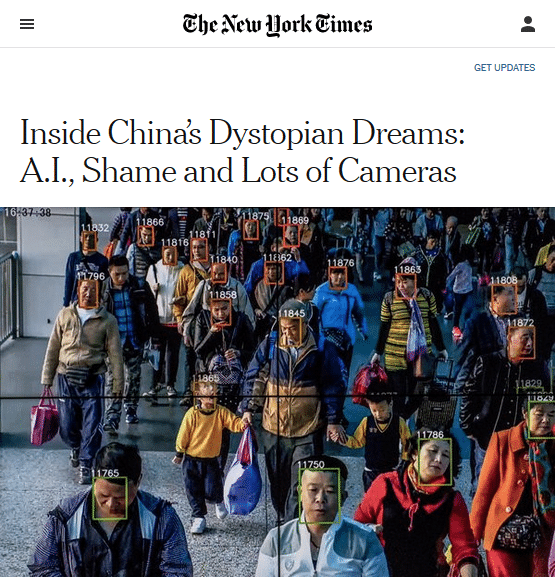 But you won’t likely see New York Times headlines about the “dystopian dreams” of the U.S. surveillance state. China’s economy isn’t growing at the same pace. It suffers from a severe wealth gap. 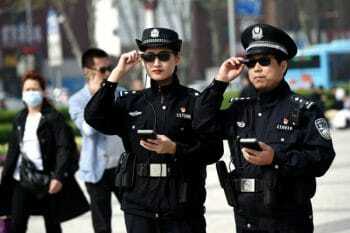 As it happens, by the standard measure of inequality, the GINI coefficient, the U.S. and China are almost exactly as unequal—41 vs. 42.2, according to the World Bank—and China’s GDP is growing almost twice as fast. Would the New York Times ever cite the U.S.’s wealth gap and slowing growth as an explanation for the expansion of the NSA’s powers? Please encourage the New York Times to use the same standards when reporting on problems in its own country as abroad. You can send a message to the Times at letters@nytimes.com (or via Twitter:@NYTimes). Please remember that respectful communication is the most effective.